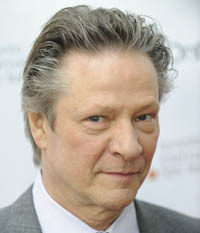 Although Marc Webb’s The Amazing Spider-Man 2 doesn’t hit the big screen until next summer, star Chris Cooper is already looking to the franchise’s bright future. While promoting his latest, August: Osage County, at the Toronto International Film Festival, Cooper made clear to Access Hollywood that the character plays a major part in a third big screen adventure. Teased in the 2012 original as a man whose remaining time on Earth is short, Osborn isn’t the sequel’s only antagonist. The plot finds Andrew Garfield’s Peter Parker up against Electro (Jamie Fox) and Aleksei Sytsevich aka “The Rhino” (Paul Giamatti). That’s in addition to Dane DeHaan as Harry Osborn who, in the comics, becomes the Green Goblin after his father’s (apparent) death. The Amazing Spider-Man 2 also stars Colm Feore, Sally Field, B.J. Novak and Sarah Gadon. It hits theaters May 2, 2014.